Last year I purchased a bunch of lighting for the Cross House. Lighting which seemed correct for the house. But since then I have learned that all this lighting was NOT right for the house, which had gas/electric combination light fixtures. My purchases had included gas fixtures of the period, and electric fixtures of the period, but no gas/electric fixtures of the period. 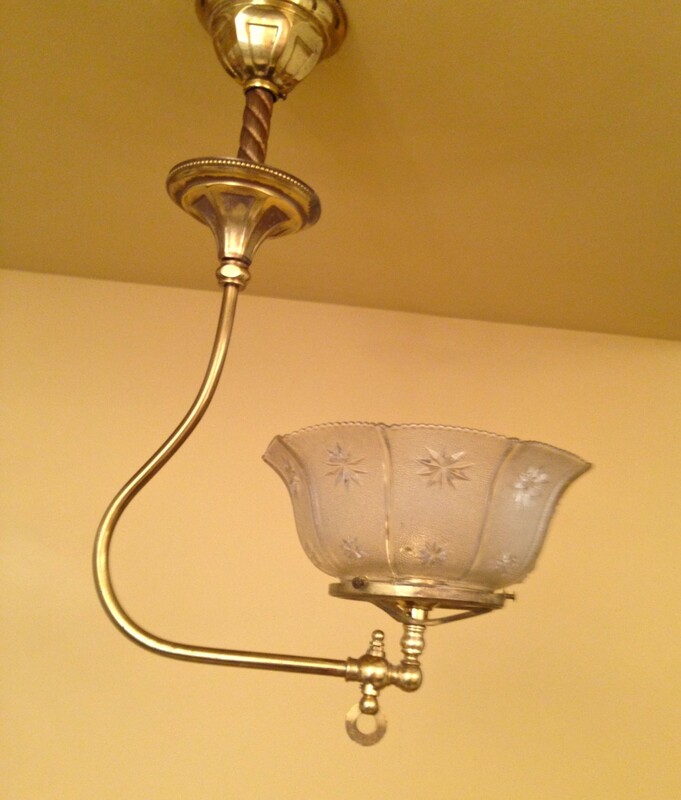 The fixtures were originally gas but were long ago converted to electric. They actually date about ten years after the Cross House.